Maizi and 4 friends were arrested and criminally detained - just for making pro-equality stickers in China. They were organizing a peaceful protest to denounce harassment at work. If found guilty, they could face up to 5 years in prison. I'm urging you to do everything in your power, including a diplomatic push, so these innocent women are released as soon as possible, and the charges held against them are dropped. Incredible news! 5 Chinese women arrested for being ‪#‎LGBT‬ and women's rights activists have been RELEASED. 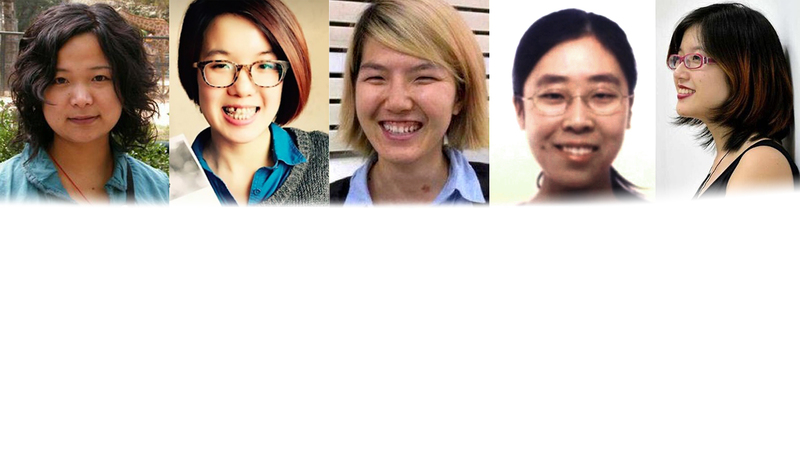 Let's keep up the pressure to ‪#‎FreeTheFive‬ until all their charges are dropped so they can continue their groundbreaking work in China. Xiao La needs your help. Her girlfriend, Maizi, was arrested and thrown in detention. She could face up to 5 years in prison. Why? Because she made stickers for equality. Xiao La and Maizi live in China. One month ago, Maizi was organizing a peaceful protest with four friends to denounce harassment at work. They were making pro-equality stickers and planning to hand them out. And just for that, Chinese authorities put her in jail. If the 5 women are not released soon, they could go to jail for 5 years. Xiao La's birthday was Thursday March 26th. She and Maizi had planned to spend the day together, having a romantic celebration. Her birthday wish is to have Maizi back. Alone, she won't be heard. But if thousands around the world join her, the global outcry could get Maizi out of jail. Can you sign and share this petition to help Xiao La's girlfriend and her friends?